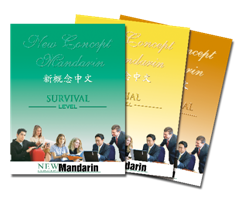 We provide Business Chinese, General Chinese, private and group Mandarin lessons in Beijing. With our professionally trained Chinese teachers and unique methodology you will get quicker learning results. Where can I learn Mandarin faster in Beijing? And how can I find the best Mandarin teachers in Beijing? You do not need to waste time to search for the best Mandarin teachers or Chinese courses. We have the perfect solution for those looking to learn Chinese in Beijing. In Beijing we only provide Mandarin lessons at the student’s locations or online. With our own course books, online video tutorials and mobile Apps, we have developed an effective Flipped Learning Approach. 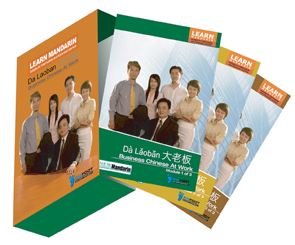 Course books are integrated with mandarin learning video tutorials, online learning tools and learning Apps. With this approach students can achieve their learning outcomes 3 times more effectively than from a traditional Mandarin school. Learning with us does not stop with the classroom. In addition to a practice class with our professional Mandarin teachers, students can continue their Mandarin learning throughout the day without any extra cost. Students can watch our video lectures before class, prepare for their lessons with our website or App anytime, and review the contents anywhere. Mandarin Immersion Program allows you to immerse yourself in real life experiences that require you to utilize and develop your communication skills through authentic daily practice and activities. It helps you achieve fluency in the shortest possible time. Different from a traditional classroom, in this program you learn to manage daily communication in Chinese like you would in the real world. In Beijing we only offer Mandarin Immersion in your own locations. What Do Our Beijing Clients Say? We are very proud to share with what our clients say about our Chinese Courses. More than 80% of our clients have renewed their Mandarin courses to a more advanced level because of the satisfaction they have from our Mandarin training service. They also refer many friends who wish to learn Chinese in Beijing to us. Customer satisfaction is our focus. “Better Chinese, better life and better business!” That’s my short bottom line after some 120 hours with New Concept Mandarin. In winter 2011, I completed Survival 1+2 which enabled me profoundly to get around in my daily life in China and, right away. Not only in private matters but, and even more important to me, also in business terms. As our company’s Chief Representative in China I am mainly in charge for acquiring Chinese manufacturers as long term customers employing our Germany-made building parts. The owners or bosses there do rarely speak any foreign language but, to my experience, most of them enjoy/prefer to communicate/negotiate directly with their counterpart rather than by interpreters. So do I, because doing business at this level is a personal matter, too. Particularly in China. With the Mandarin I had learned at NCM I not only was able to start doing so and, almost at an instant, but the broad and sufficient basic Mandarin was good enough for to continuously improve my Mandarin by reviewing NCM’s material (‘Da Laoban’ DVD course!) and self-studies. It didn’t take long to realize the increasing number of successfully established new business for our company. So, as nothing’s more encouraging than success, this summer, I decided to refine both my Mandarin and my grammar skills. After all, from both my personal experiences and my business point of view NCM remains my first choice for leaning Mandarin and I can only highly recommend NCM to everybody who is really serious about learning Mandarin. As for me, I certainly will complete Social 2+3 in the near future. As my course ended yesterday with the last session I would like to take the opportunity to express my appreciation and gratitude. Serena is a very professional, motivated, encouraging and disciplined teacher. She applied the New Concept system very well and I benefitted a lot from the lessons. I feel well equipped with the survivor knowledge! All the best for you and the New Concept Team. Hans Nasemann, Regional Director, WMF Consumer Goods (Shanghai) Co., Ltd.
I’m very happy with the 40-hour course I just finished. Qing and Suki are both very dedicated, energetic teachers. I noticed a lot of improvement in my ability to communicate and understand more of what I was hearing outside of class (in the real world where the conversations are a little tougher to follow!) They also both did a nice job of developing extra material aimed at my personal interests. As you know this was my second short-term intensive course at New Concept, and I really hope to come back and do a third one.